BMO Online Inventory System is capable of exporting all of your clients details from BMO inventory system for external use such as updating updating the contact list in another application. Through this method, you can create a large group of contacts quickly compared to inserting it manually, one by one. Below is a simple guide to show you how to export contact list to your local computer in CSV format. 1. Go to Contact > Contact List. 2. You will be redirect to a contact list’s page. 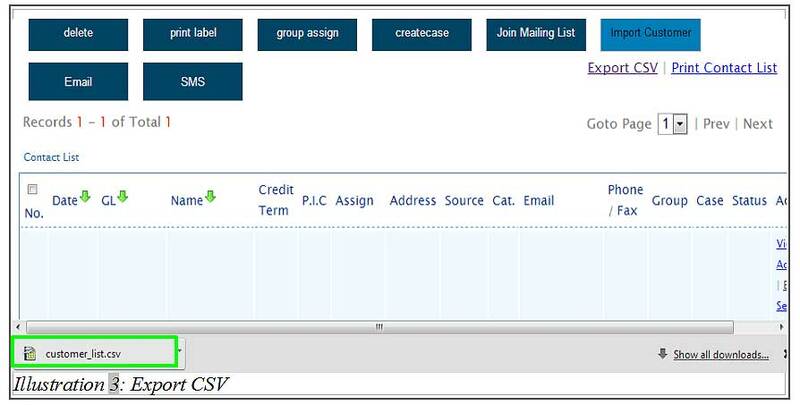 Click on Export CSV to export a list of contact from the system as shown in the illustration below. 3. After clicking Export CSV, a CSV file containing your customer contacts’ details will be downloaded. You may upload that file to another application and update your customer contacts.